Kagan offers successful workshops around the globe. More than 40 countries have experienced Kagan's revolutionary workshops that enhance engagement, learning, and social skills. I am excited to work with you to bring Kagan to your country. 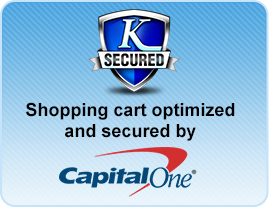 Please call or email me to get started. I look forward to working with you to design the perfect training for your educators! I would love to work with you to set up a Kagan training for your teachers. I can promise your teachers will receive the best professional development training available, and you will be impressed with how enjoyable both the process for organizing the training and the actual training will be. You and your teachers will be glad you called. Talk with you soon! Kagan Professional Development - The worlds finest professional development opportunities for educators! Kagan Professional Development offers the world's most powerful and engaging professional development opportunities for educators. Each year, Kagan offers workshops, academies, coaching, and courses to thousands of teachers, trainers, and administrators worldwide. 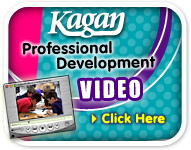 What sets Kagan apart from other training organizations is Kagan Structures. Kagan Structures are research-based instructional strategies that have a track record of improving academic achievement and social outcomes. We know the number one key to success in school is quality instruction. And the number one key to quality instruction is actively engaging students. It's all about engagement! Kagan Professional Development offers world-famous Kagan Structures that boost engagement and learning for all students. Experience first-hand the power of the Kagan approach and come away with practical and proven strategies that you can really use tomorrow!